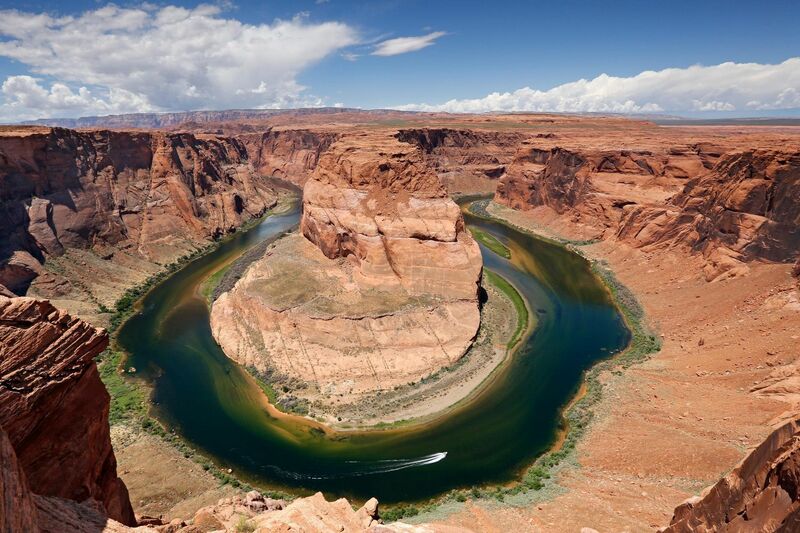 Photographing Horseshoe Bend, Arizona is tricky as it involves getting very close to the edge - not something to try if you suffer at all from vertigo. My wife Sheila couldn’t get anywhere near it without a tight hold on my hand. You will need a very wide angle lens to be able to capture the entire shape or the rocks in the foreground will cut off the tip of the bend in the river. Different times of day have dramatically different lighting because of the depth of the canyon.